When I first saw this photo on Pinterest I immediately pinned it to my Pinterest board “Style” because it aligns with my personal style and is an easy-to-copy outfit. I knew I didn’t have exact matches to each piece but was still able to scrap together this lookalike outfit. 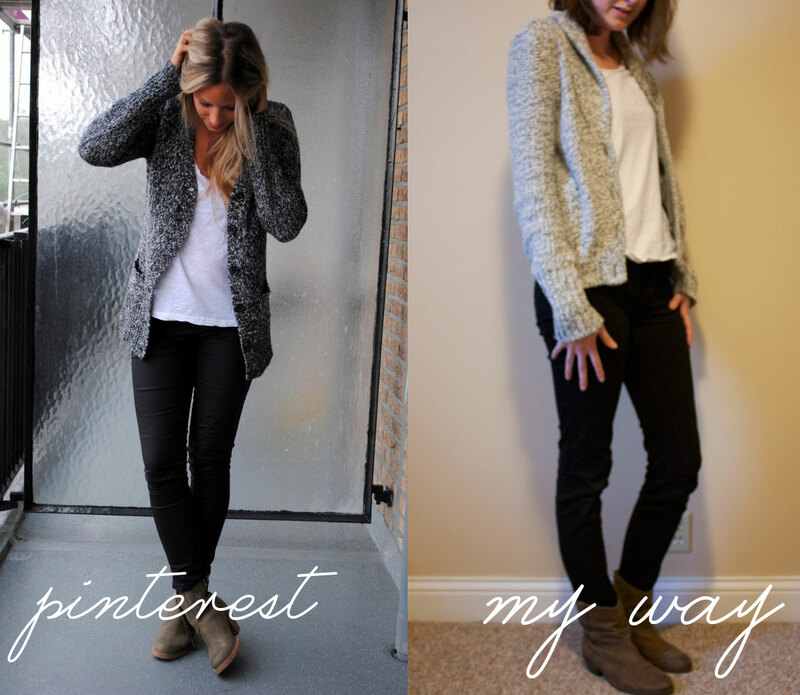 This is a Pinterest outfit I am sure anyone can put together. I know I've said it before, I don't like to go out on Valentine's Day.